As the new year starts, it is worth reflecting on the significant energy events that shaped 2018 and how they could influence trends in 2019. Though there was no shortage of attention-grabbing developments last year, many were country-specific, while others will only have a short-term effect. 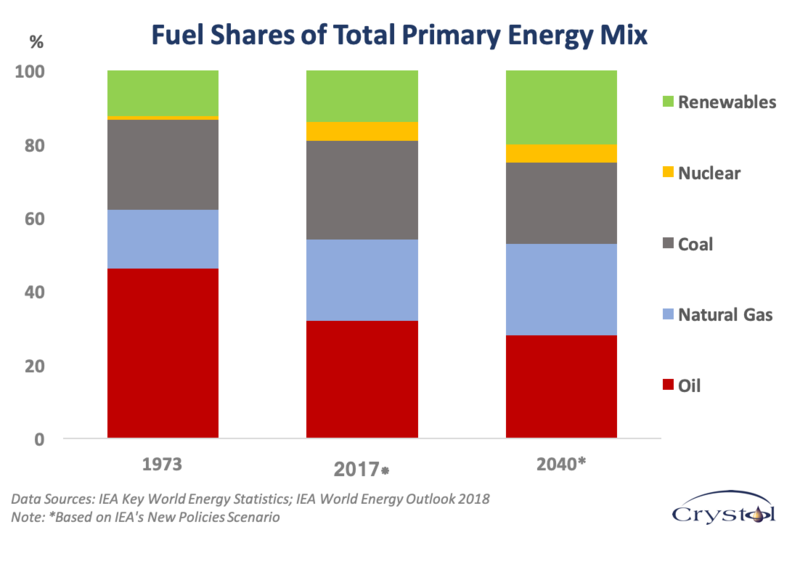 Looking back at 2018, the energy source that garnered the most international attention was oil, with its transforming market forces, intensifying competition for market share and capital, and impact on global affairs, to say nothing of the attempts at predicting prices. These factors will continue to capture attention in the new year. Other sources of energy will also evolve, albeit at a different pace. Investment in renewable energy, particularly power generation, will continue to race ahead, supported by friendly policies and government backing. Nonetheless, costs, storage and infrastructure remain key for renewable energy to expand its reach, especially when competing fuels are achieving equally or more impressive gains in efficiency and productivity. Nuclear energy is still in a challenging spot. When coal demand dropped for two consecutive years in 2015 and 2016, some rushed to hail the demise of the world’s largest contributor to power generation. That reaction soon appeared premature, as coal demand leveled off in 2017, then increased in 2018. There were no significant surprises in natural gas markets in 2018. The adequate supplies and relaxed market atmosphere are expected to continue throughout 2019, though regional markets will vary. Oil prices experienced daily volatility because of geopolitical developments, especially in the Middle East. Because of the factors mentioned above, though, they remained in a well-defined corridor, averaging between $60-80 per barrel, despite endless warnings of some short-sighted analysts, constantly swinging between predicting “lower forever” to triple-digit prices. Overall, 2018 was far from boring on the energy front. The main takeaway is that, in energy as in other sectors, market forces remain more decisive than political rhetoric.